Traditional website counters register website traffic; page views and the number of unique visitors. They provide basic segmentation such as the number of visitors per day, the country of origin and the referral. However, they will not tell you the names behind those hits. They remain anonymous. IP Based technologies go one step further and identify who those visitors are and can show targeted display ads as they navigate on the web. What can IP based solutions do for Marketing? b) Increase B2B buyers’ engagement by providing a more personalized journey for prospects and direct visitors to optimized sites based on that person’s industry. c) Increase the number of registrations in your web forms – This will fuel your marketing automation engine with new and relevant contacts. d) Tell your Sales force which companies are visiting the website and what they are seeing. Provide Sales with meaningful contextual information so they can better close the deals. Sales and Marketing people cannot engage enough people in the best existing and new accounts as usually they reach only contacts in your CRM or Marketing Automation Engine (provided you have the right opt-ins, else you have Legal on your back telling you not to communicate with your own customers!). This is a critical bottleneck that results in longer sales cycles and lost deals. 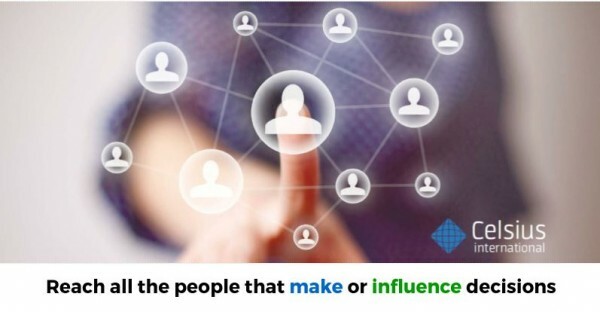 The challenge is therefore for marketing and sales to have increased visibility, attention and engagement by reaching all the people that make or influence the decision. The solution is IP-targeted ads that deliver content through web publishers. Thanks to IP Based technologies, companies can target key accounts and close the big deals faster, delivering the right content with the right frequency. B2B Marketing is therefore no longer limited to visitors to your website. With IP based technologies, it is now possible to select companies you want to show relevant content ( video-ad, article-ad …) as they navigate on the web. Lastly, bear in mind this: we all receive more marketing material we can cope with. In this context, making sure that your voice is heard is a strategic choice. IP Based solutions can boost both Marketing and Sales results by influencing the right people and delivering the right message wherever they are on the web and not only if they visit your site !